Here you can read up on the latest news from TK Instruments. Please be sure to follow me for music and TK Instruments related news. 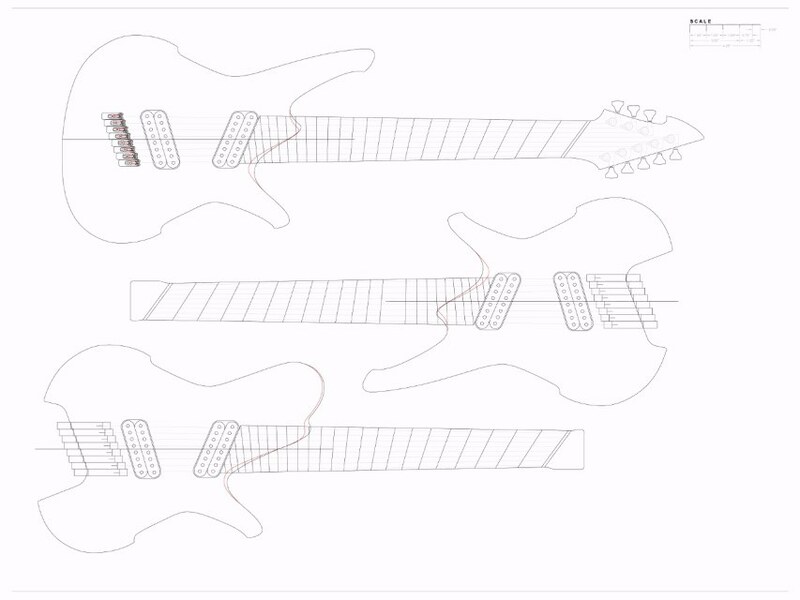 Introducing the Model ~X~ Headless for 6,7 & 8 string guitars! 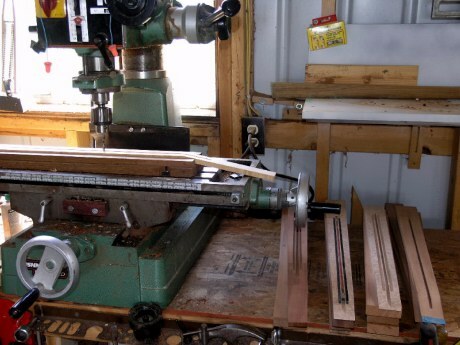 New instruments in the works! 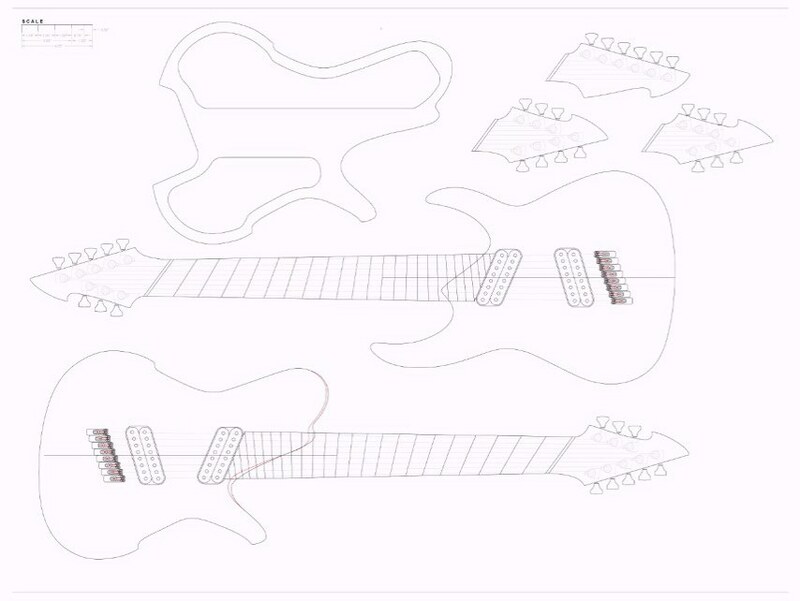 The final 2 instruments will most likely be completed by summer 2012. Check back to my gallery from time to time to see what has been completed. The Custom Shop has been reopened for limited production! Also, the necks are now offered "standard" as 1 piece with no carbon fiber (Carbon fiber ) reinforcement, rather then my usual 5 piece laminated headstocks with full reinforcement throughout the neck and headstock. Counter sunk strap locks are no longer a standard option and neither are body wood mounted pickups. 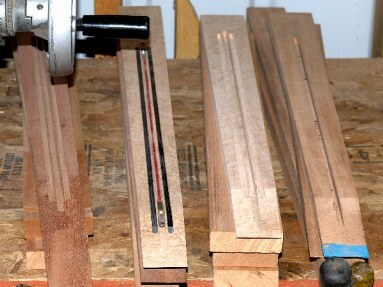 In gearing up for production I designed a very cool neck jig that serves 2 very important purposes. 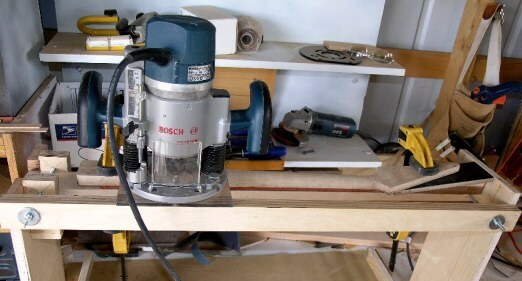 so this new jig really saves a lot of time, as well as makes things more accurate and safer. 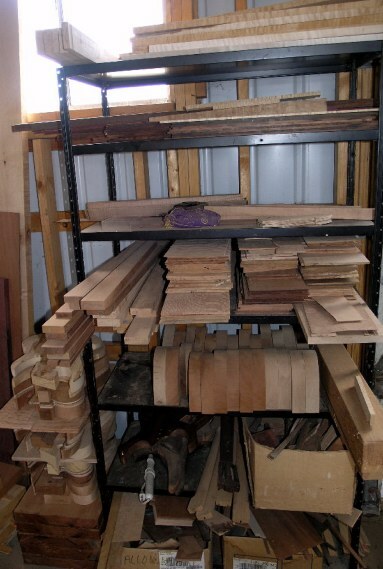 Here (below) is my now fully loaded storage shelf that contains most of the processed, and yet to be processed woods just waiting to sing! 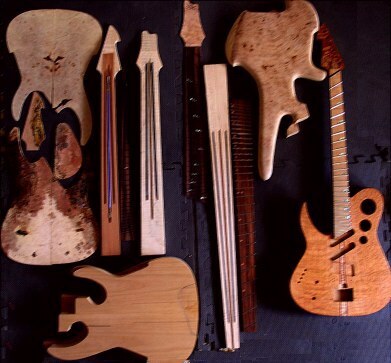 As you can see I have quite a bit of work accomplished here; lots of tops, bodies, necks etc.